The Tampa, FL-based electronic health record (EHR) software developer Greenway Health LLC has agreed to settle violations of the False Claims Act with the Department of Justice for $57.25 million. The case concerns Greenway Health’s EHR product Prime Suite. The DOJ alleged that by misrepresenting the capabilities of the product, users submitted false claims to the U.S. government. Further, Greenway Health was alleged to have provided unlawful remuneration to users to induce them to recommend the EHR product to other healthcare providers. The U.S. government provided incentives to healthcare organizations to encourage them to transition to EHRs from paper records through the Meaningful Use program. Most healthcare providers have now made the change and now rely on EHR systems to support the healthcare decision process. It is therefore essential that EHR products allow patient health information to be recorded and transmitted accurately. In order for healthcare providers to qualify for Meaningful Use payments, they must only use EHR products that have been certified as meeting certain criteria stipulated by the Department of Health and Human Services (HHS). In order to receive certification, EHR software developers must have their products tested by an independent, accredited testing laboratory authorized by the HHS. Certification is then provided by an official certification body. Greenway Health was alleged to have falsely obtained 2014 Edition certification for Prime Suite by concealing the fact that the product did not fully comply with all HHS criteria, such as the use of standardized clinical terminology to ensure reciprocal flow of patient information and the accuracy of electronic prescriptions. Greenway Health was alleged to have modified its test-run software to deceive the company that certified Prime Suite into believing it used the requisite clinical vocabulary. Healthcare providers who used Prime Suite needed to meet targets for EHR-related activities in order to receive Meaningful Use incentive payments. One such target was to provide a certain percentage of patients with clinical summaries after office visits. The 2011 Edition of Prime Suite did not accurately calculate the percentage of office visits for which users distributed clinical summaries and, as a result, it caused users to submit false claims. Greenway Health chose not to correct the error as by doing so its users would not qualify for Meaningful Use incentive payments. Greenway Health was also alleged to have violated the Anti-Kickback Statute by paying money to users as an incentive to recommend the product to other healthcare providers. “This resolution demonstrates our continued commitment to pursue EHR vendors who misrepresent the capabilities of their products, and our determination to promote public health while holding accountable those who seek to abuse the government’s trust,” said Assistant Attorney General Jody Hunt of the Department of Justice’s Civil Division. This is the second case against an EHR provider to have been pursued and resolved in the past two years. eClinicalWorks was also accused of covering up the failure of its platform to pass certification testing. eClinicalWorks paid $155 million to settle its case. “These cases are important, not only to prevent theft of taxpayer dollars, but to ensure that the promise of health technology is realized in the form of improved patient safety and efficient healthcare information flow,” said United States Attorney Christina E. Nolan for the District of Vermont. 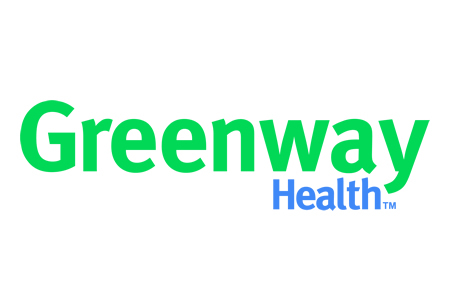 In addition to the financial penalty, Greenway Health has entered into a 5-year Corporate Integrity Agreement (CIA) with the HHS’ Office of Inspector General. Under the terms of the CIA, Greenway Health is required to retain an Independent Review Organization to assess its software quality control and compliance systems and to review arrangements with healthcare providers to ensure compliance with the Anti-Kickback Statute. Greenway Health must also allow all users of Prime Suite to upgrade to the latest version of the platform at no additional charge and, if they so wish, allow customers to transfer their data to another EHR software provider without incurring penalties, service charges, or other contractual amounts owed in connection with the goods/services already provided.